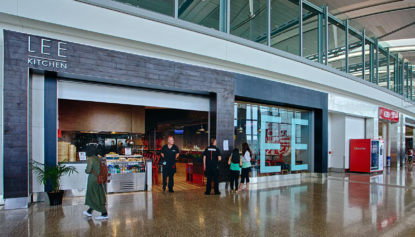 Avenue des Canadiens is located in Montréal–Pierre Elliott Trudeau International Airport. 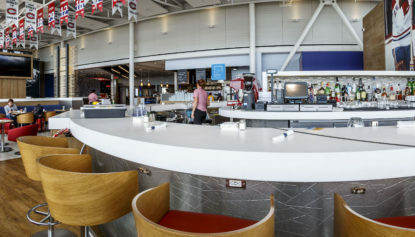 Recently completed by our ENV team, collaborating with local designers and architects, it opened alongside a number of other dining options in the Terminal; Ice Bar, L’Auberge Saint Gabriel, and Pork & Pickle, to name a few. 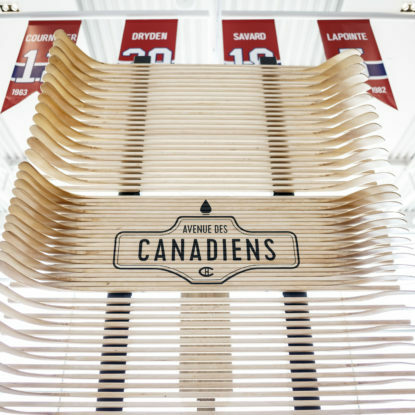 Avenue des Canadiens was designed for Montreal’s hockey team the Canadiens’ fans and sports fans alike. Chef David McMillan, a huge Canadiens fan himself, serves up a tasty and unique fare, breakfast through dinner. 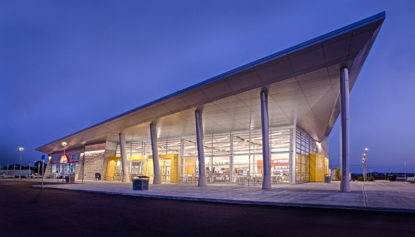 Offerings include omelets, blueberry pancakes, Swedish meatballs, clam chowder, and a unique assortment of meats inspired by the area. 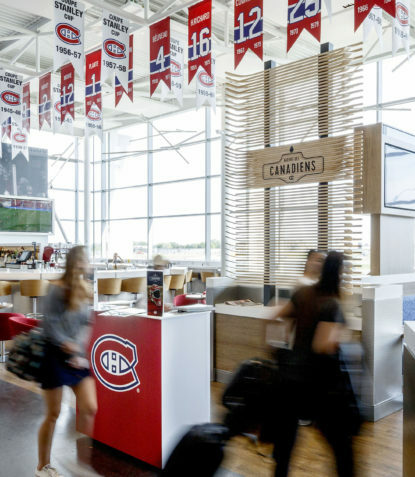 Throughout the design, our team worked to find creative ways to bring the hockey experience to life in an airport setting. 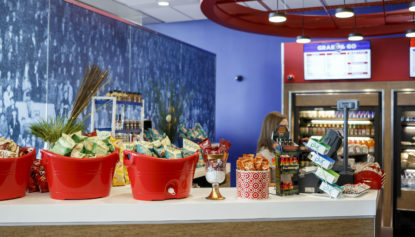 Pennants and sports jerseys hang from the rafters, creatively sculpted hockey sticks create a backdrop at the entry to the space, and materials emulating the look of the ice rink are used at the bar to add to the environment. 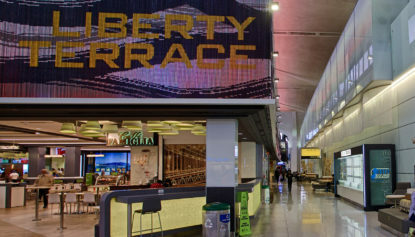 For diehard fans, this upscale club-like dining space is lined with historic photos and a wealth of memorabilia. 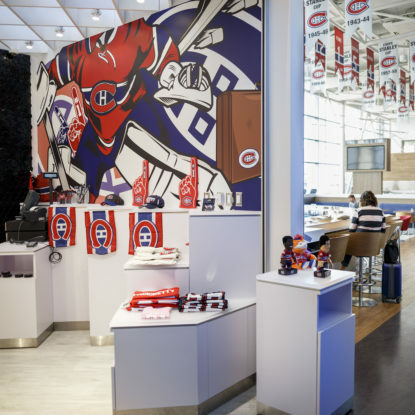 Flat screens line the bar for travelers to watch the game and the restaurant features an exclusive retail shop full of team apparel.